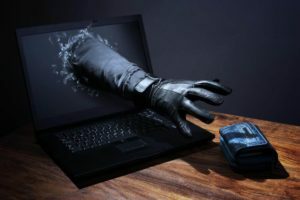 Ever since the development of the internet, ransomware has always been one of the pain points of computer networking and particularly over the last decade. Ransomware refers to a type of computer malware which executes cryptovirology attacks after it covertly installs on a computer. Once the computer is infected, payment is demanded to correct the problem. However, ransomware attacks have recently started to attract the attention of mainstream media. The main reason for this is that the attacks seem to be focused on hospitals, clinics, and several other healthcare facilities. The trend started off in the United States but has since moved on to the UK. Over the last 12 months, a large number of healthcare facilities have had their access to important data compromised, and this is a cause for concern for many people. According to Eset, a security firm, about 25% of cyber threats in the UK are ransomware attacks. The firm also says that ransomware attacks have been on the rise since early this year. Recent data from the NCC Group showed that almost half of 60 NHS Trusts including North and East Hertfordshire were victim to ransomware attacks in 2015. 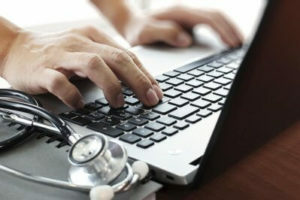 Security experts have forwarded several reasons as to why cyber criminals are focusing their attention on healthcare facilities. The main factor is the high value of data that is being targeted. The data that hospitals hold does not just bear monetary value but also life or death value. For this reason, for medical care to be provided, the hospitals must have access to this critical data. Failure to do so could result in loss of lives. There are other additional costs to healthcare facilities being locked out of their networks. These include affected patients’ lawsuit settlements, complementary legal fees as well as data loss fines. Also, there is the media storm associated with such attacks. The NHS Trusts compromise was followed by numerous media outlets in and outside the UK. Such incidences negatively impact the reputation of the healthcare facilities, something hospitals want to avoid. These are the perfect conditions for cyber criminals to employ this type of malware (ransomware) since they are confident of ransom getting paid out. The other reason is that ransomware is quite the lucrative venture for these criminals. According to FBI estimates in 2014, a strain of ransomware termed the Crypto Locker extorted up to $27 million from parties whose data they held hostage in a period of just six months. This is a cause of concern mainly because the tactics employed by cybercriminals are getting more sophisticated. Far from just affecting individual computers, today ransomware can compromise whole server systems and institutional networks. This could be the reason why, according to Symantec, cyber attackers have increased the amount of ransom they demand by more than 100 %. While a considerable percentage of hospitals end up settling the ransom amounts, it is quite surprising that some hospitals in the UK have not met ransom demands. This is according to accounts received from Motherboard. 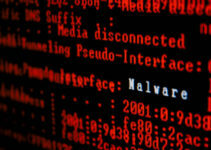 The data largely focuses on NHS Trusts and reveals that despite being affected by the malware for the last four years, they have not paid the respective ransoms. The affected NHS hospitals did confirm that they had indeed been successfully targeted and also reiterated on the lack of payment. The main reason for this occurrence is that the cyber-attacks were limited in scale and did not affect a considerable amount of systems. The other reason why hospitals in the UK fail to pay up is that they could have been successful in mitigating the ransomware attacks. If the healthcare facilities can recover or protect critical information, then they have no reason to pay the cyber attackers. However, it is vital to note that this tactic should not be used as a replacement of proper cyber security systems due to increased sophistication in malware attacks. In the wake of the growth of ransomware attacks, there are some steps that healthcare systems can take to combat these cyber-crimes. These include but are not limited to investing in effective backup systems, proper training of hospitals employees on cyber security, using multiple servers, configuring all mail servers, having data restoration strategies and knowing the type of malware in the systems.